MOBILE, Ala. -- The first Littoral Combat Ship built by the General Dynamics Team, Independence, was christened today at the Austal USA shipyard in Mobile Bay. U.S. Senator Jeff Sessions of Alabama was the principal speaker. Other speakers included Donald Winter, U.S. Secretary of the Navy, and U.S. Rep. Jo Bonner of Alabama. Doreen A. Scott, wife of former Master Chief Petty Officer of the Navy (MCPON) Terry Scott, ceremonially named the ship by breaking the traditional bottle of champagne against its hull. The Littoral Combat Ship is a key element of the Navy’s plan to address asymmetric threats of the twenty-first century. Intended to operate in coastal areas of the globe, the ship will be fast, highly maneuverable and geared to supporting mine detection/elimination, anti-submarine warfare and anti-surface warfare, particularly against small surface craft. The LCS 2 is the sixth U.S. Navy ship to be named Independence. 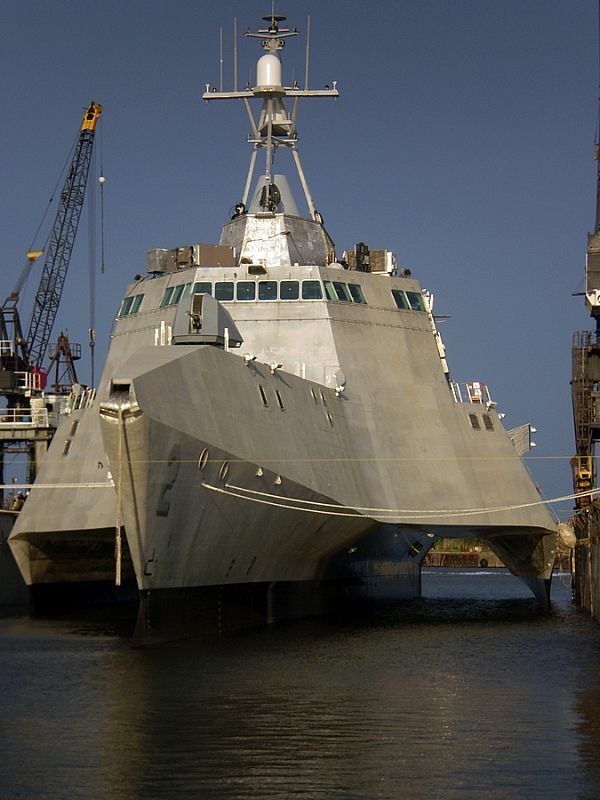 Earlier ships were named for the attribute or abstract noun “independence.” The Navy will name its class of Littoral Combat Ships after towns or small cities. 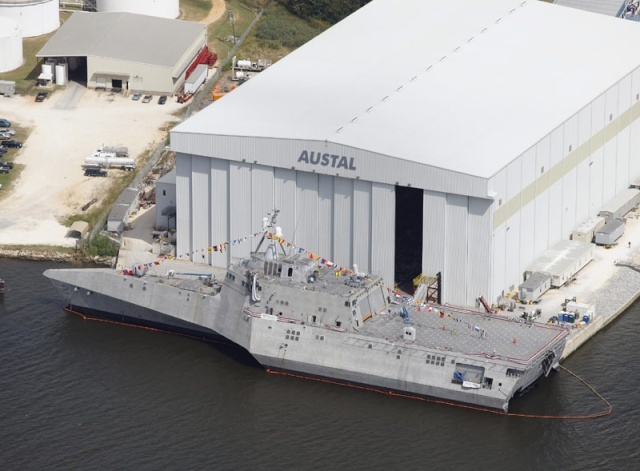 The Independence moved from the Austal building hall to the water in April 2008 and entered the final stages of construction, including completion of outfitting, tests and system activation. The General Dynamics Team expects to deliver Independence to the Navy in 2009. General Dynamics Bath Iron Works is the prime contractor for the General Dynamics Littoral Combat Ship Team. Partners include Austal USA (Mobile, AL); BAE Systems (Rockville, MD); General Dynamics Advanced Information Systems (Fairfax, Va.); L3 Communications Marine Systems (Leesburg, VA); Maritime Applied Physics Corporation (Baltimore, MD); and Northrop Grumman Electronic Systems (Baltimore, MD). Bath Iron Works of Bath, Maine, is a leading designer and builder of complex surface combatants for the U.S. Navy and employs approximately 5,900 people. General Dynamics, headquartered in Falls Church, Va., employs approximately 84,600 people worldwide and anticipates 2008 revenues of approximately $29.5 billion. The company is a market leader in business aviation; land and expeditionary combat systems, armaments and munitions; shipbuilding and marine systems; and information systems and technologies. More information about the company is available on the Internet at www.generaldynamics.com. Captain Andy Niemyer (c/s "Comjam") (ret.) gives his take on LCS-1 Freedom as he photographed the ship from watching her arrival at Duluth, MN on Sunday, October 26th. MILWAUKEE (Nov. 4, 2008) The USS Freedom (LCS 1) berths in Milwaukee harbor preparing for her commissioning on Nov. 8. 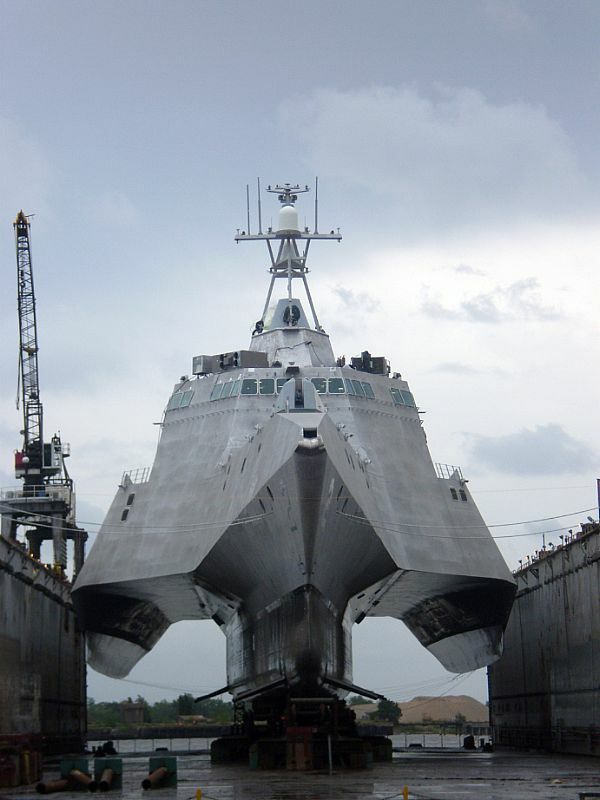 The USS Freedom (LCS 1) is the first of two littoral combat ships being produced for the Navy. Freedom is an innovative combatant designed to operate quickly in shallow water environments to counter challenging threats in costal regions, specifically mines, submarines and fast surface craft. 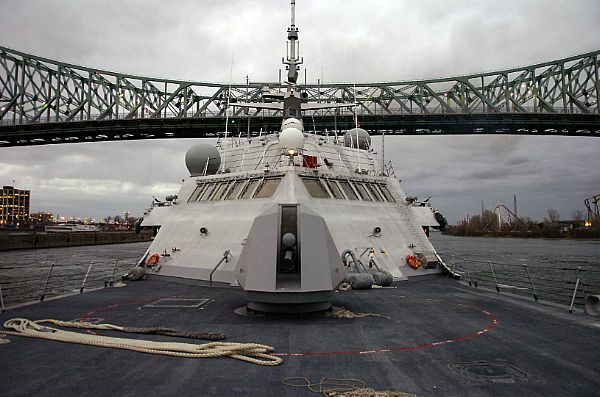 MONTREAL (Nov. 20, 2008) The littoral combat ship USS Freedom (LCS 1) Freedom sails under the Pont Jacques-Cartier Bridge as the ship heads to the Old Port of Montreal. Freedom is the first of two littoral combat ships designed to operate in shallow water environments to counter threats in coastal regions and is en route to Norfolk, Va. MOBILE, Ala. (May 28, 2008) The littoral combat ship pre-commissioning unit Independence (LCS 2) is the second ship in a new design of next-generation combat vessel for close-to-shore operations. 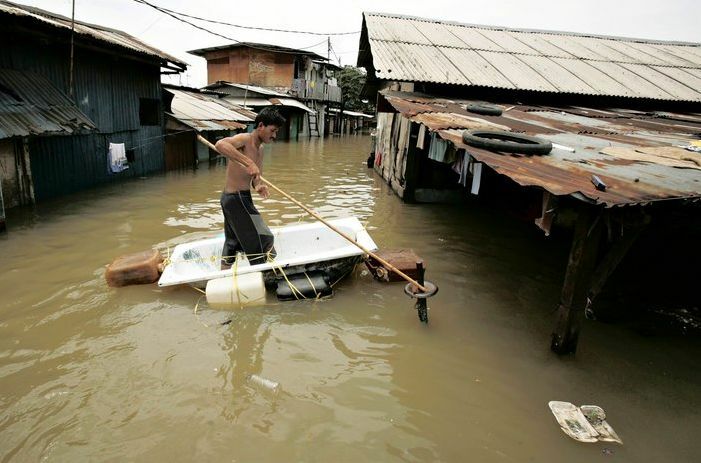 The ship will have a crew of less than 40 Sailors and will be able to reach a sustained speed of more than 50 knots. The larger flight deck will accommodate 2 SH-60 Sea Hawk helicopters or one CH-53-class helicopter. Superbes photos il ne doit pas craindre le roulis !?! LCS Freedom - The Littoral Combat Ship sailed into Lake Michigan for sea trials recently, proving its revolutionary design. This advanced warship conducted maneuvers that can only be described as unprecedented for a vessel of any kind. In August 2008, the nation's first Littoral Combat Ship, Freedom (LCS 1), undergoing high speed test during Builder's Sea Trials for the first-in-class coastal surface combatant. The first trials for the agile 378-foot Freedom, designed and built by a Lockheed Martin led industry team, are being conducted in Lake Michigan. In November 2008 - The U.S. Navy's Littoral Combat Ship boasts unprecedented ability to use robots to extend its "eyes and ears." USS Freedom XO Commander Kris Doyle and skipper Commander Don Gabrielson explain in November 2008. Video by David Axe. New Littoral Combat Ship designed to operate in shallow waters features blazing speed and several technological breakthroughs not found on other ships. In May 2009 - USS Freedom (LCS 1) successfully conducted its second and final round of U.S. Navy acceptance trials off the Virginia coast. The trials which were a coordinated effort between the Navy and the Lockheed Martin team included operational testing of the vessels propulsion, communications, navigation and mission systems, as well as all related support systems. 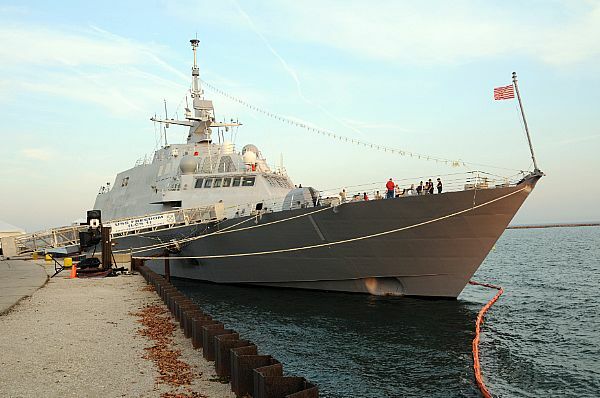 in June 2009 - USS Freedom (LCS 1) Freedom completed successful structural test firings (STF); 57-mm gun was fired 70 times; Rolling Airframe Missile (RAM) fired two rounds; Terma Soft Kill Weapons System (decoys) and 50-cal machine guns successfully tested. Mauvais utilisateur,je trouve ce "bac"superbe!